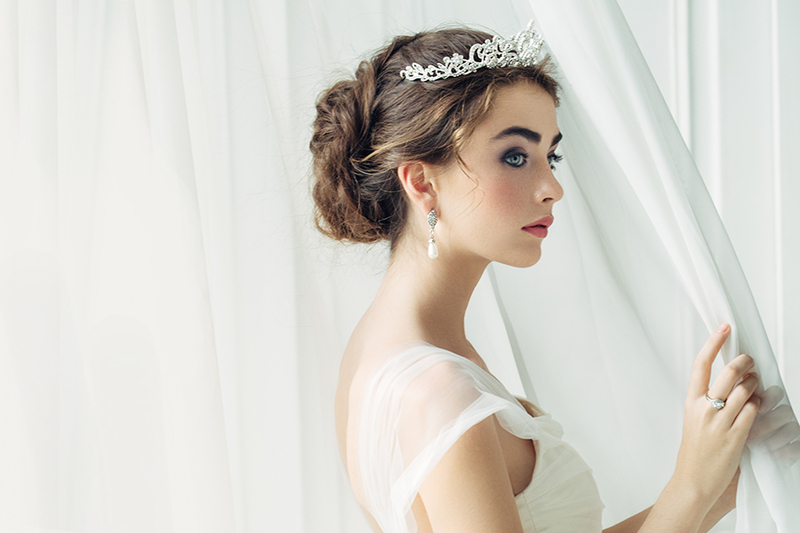 For picture perfect bridal hair start your preparations early advises Benessere salon director Fran Shakespeare. Once you’ve set a date then your next call should be to your hairdresser. 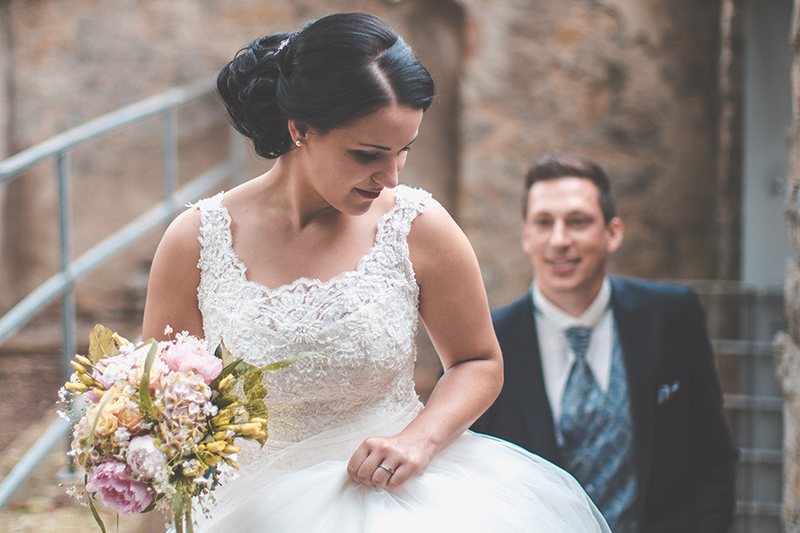 Your hair is as important as your dress in creating the stunning bridal look you’ve always dreamed of. A good hairdresser is vital – you’ll need colouring ahead of the big day and advice on how to style your hair. If you’re not sure what look you want, a good stylist will offer practical advice and ensure you look your dazzling best. The style and setting of your wedding will inspire your hairstyle. Are you thinking of a quiet country church with simple garden flowers and a marquee? Smart nuptials in a chic hotel? Or perhaps an informal beach ceremony on golden sands? The setting, your personal style and the venue will all influence your dress, accessories and of course your wedding hair. It’s early days and you may not have a clear ideas yet, so chatting it through with your hairstylist can often help you settle on what suits you, and the occasion, best. They will be able to advise you on your face shape, the condition of your hair and what is realistic to achieve. ‘Show not tell’ works best when I’m working with a bride so I know exactly what she’s looking for and loves. Tear out magazine pages, scour bridal hair boards on Pinterest and pore over online wedding galleries. Then chat them over with your hairdresser. Hair trends change all the time and whilst it’s tempting to try something edgy, simple classic bridal style won’t date in your photos. I always advise brides to avoid going for a dramatic new image on their wedding day. Aim instead to look like yourself – just a more glamorous polished version. And don’t forget practicalities. If there is chance of wind and rain on your big day, choose a classic hair style that won’t let you down. Starting early means you and your stylist have time to get your hair in tip top condition and experiment with colour and cuts. A few weeks before your marriage is not the time to attempt a drastic haircut or hair colour change. Glossy, shiny hair is the best accessory you can have on your wedding day. Treat yourself to regular deep conditioning salon treatments and get a weekly routine at home for pampering those locks. My personal favourite is La Biosthétique’s Tricoprotein Hair Mask. And don’t forget, regular trims (every six weeks) are also a must, even if you’re growing your hair. Clients often ask me whether they really need a wedding hair trial as they’ve been visiting Benessere for years. Absolutely you do. This is your big day – you want to know that you’re going to love your hair, it complements your dress and you feel comfortable. This is a little tip I use with brides – get your hair stylist to take photos of each trial look from different angles and behind. It gives you something to show family and friends and ask for their views. It also helps you decide which ‘do’ is the one for you. Veils, tiaras, natural flowers… whichever you choose beautiful bridal hair accessories add panache and finish your look. Bring them along to your trial appointment and we can ‘play around’ together and work out what suits you best. We can also perhaps look at adding a handful of extensions too. Extensions and hair pieces give volume, thickness and length. They are virtually undetectable and ‘your little secret’ – they’re great for beach-babe hair on your honeymoon too. By now you should have the look you want. I always recommend leaving the style in place for a few hours to check it holds. You want to be confident your hair will stay picture perfect throughout your special day. Be prepared. Ensure your bridesmaid has an emergency hair kit complete with a miniature hairspray, plus a few pins and grips for any stray wisps. With everyone snapping your every move you want to look your very picture perfect best. Watch celebs and learn to show the camera your best angle. Spend time in front of a mirror experimenting. Then get a friend to take snaps of you and see what works best. We offer a bespoke wedding & bridal service starting from £150. Please call the salon on 01527 878822 to arrange a complimentary consultation.